I admit it. I dressed up as Underdog for Halloween when I was little. Twice. I would have made it a third time too, had the mask not snapped. 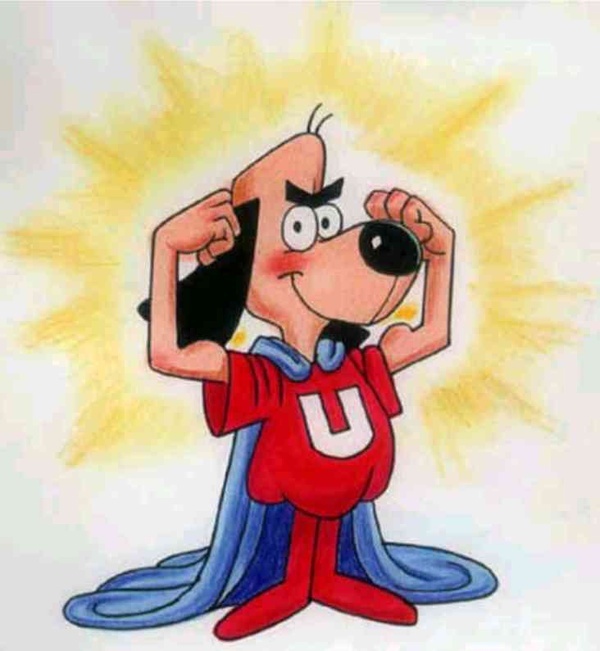 I loved Underdog. I could put on a blue cape, a mask, and pretend to soar away through the sky, saving my toys, my animals and all my neighborhood friends from potential peril. I felt strong. I felt important. But now I look back and I realize, who needs a cape to feel this way? So now that I’m older, my favorite kind of hero is the one who doesn’t think they are. Because those people have the true hearts and best interests of others in mind. And now that I really see the world and I know what’s important, I also realize you—anyone—has probably already been one. To the moms and dads out there, maybe all it takes is patching up a skinned knee, or fixing that perfect dinner to fill the bellies in your family. Making something ordinary into something fun and exciting, like helping clean up a room or practice a sport, and maybe just being there when your kids are doing homework. To a grandma or grandpa, maybe all those evenings you spend with your grandkids are just what everyone needs: a moment when you made the kids feeling special—a moment when the parents had a fantastic break to claim their sanity—maybe all you did was share part of you in a story or a lesson and you taught something different. To a coworker—well, maybe you stuck up for someone in a meeting. Maybe you helped brainstorm and took an idea and built a project with someone. Maybe it was a nice email thanking someone else for their hard work. To a boss—maybe you threw yourself out there and shared a few mistakes when someone else was feeling bad about their work. To a friend—you were just there when someone needed you. Moments like these make you a superhero to someone. You are important. You rescue others from peril, whether you know it or not. It’s the little things that matter. Really. You’ve helped someone else reach their dreams and they may not have been able to make it happen without just a little nudge. Posted on May 3, 2012, in cloud nine girl, heros, heros and dreams, someone special, you are a hero. Bookmark the permalink. Leave a comment.